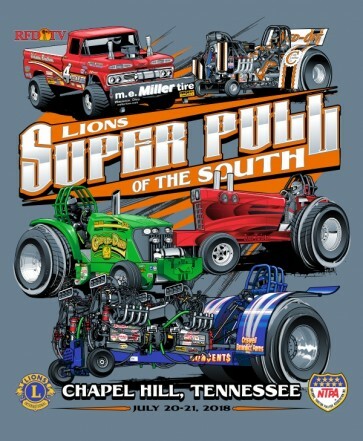 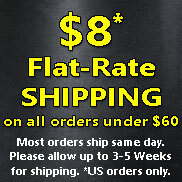 On July 20-21, competitors and fans will pour into Chapel Hill, Tennessee for the annual Lions Super Pull of the South. 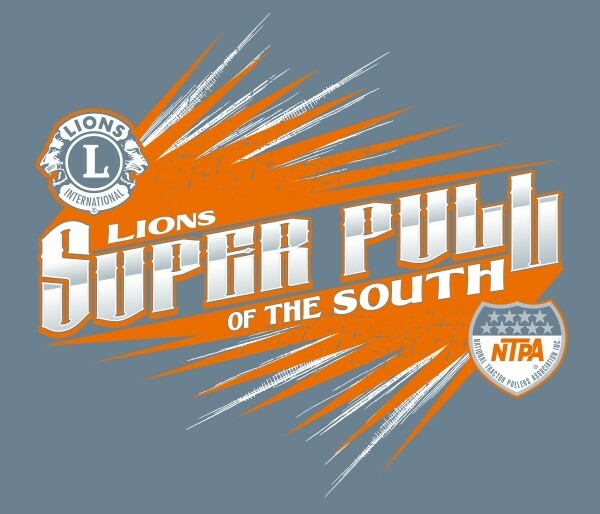 The official event shirt is available now! Back design features 2017 winners "4 Play" FWD, "Git-Er-Dun" Pro Stock, "Non-Cent$ All Screwed Up" Unlimited, "Bone Twister" Super Stock Diesel, and "Sawed-Off" Mini.